You can use journals in a variety of ways both inside of and outside of the language classroom! They’re super versatile and a great language learning habit that your students can take with them when they leave your class. Keep reading below to learn more about why journals are perfect for your adult ESL students, how you can use journals in your classroom, and what tools and strategies to employ when writing in a journal. Aside from language learning, journaling has many benefits, which we can’t explore fully here. 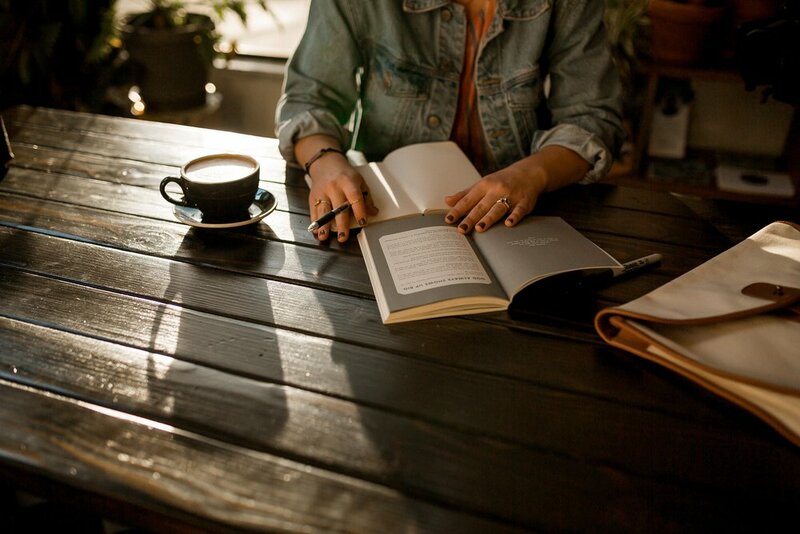 However, to keep things short and sweet, journaling provides people with time to collect their thoughts and something tangible to look back on and reflect on progress. The benefits of using journals in the classroom are plentiful. Journaling makes a great warm-up routine because students will know what to expect when they enter your classroom, build confidence through using language that they’re familiar with, and reactivate the language learning parts of their brain in a safe space (their personal journal). Looking For More Routines to Help Your Students Succeed? Find Out How Reusable Routines Can Help You Save Time in the ESL Classroom Here! However, whether you use journaling as a warm-up, an activity, or a homework assignment, journals provide students with a safe and controlled environment to use the language they’re learning. While you can definitely grade a journal entry, I prefer to use journals in a more informal way. I don’t encourage my students to focus strongly on grammar or even correct spelling. I simply want them to begin to use English to talk about their personal, daily lives. After students have filled their journals with a decent amount of entries, they can be used as tools for self-reflection and for my students to personally look back on their progress and improvements throughout the class. The reason why I like to use journals for personal growth and reflection instead of as a graded assignment is because my goals are for my students are to use language consistently, use the language that they’re already thinking about or that they need, be made aware of the language that they’re missing, and have something tangible that they can easily see their progress and growth. Need More Activity Suggestions? Sign Up For the Everyday ESL Newsletter Today to Receive Free Activities and Resources in Your Inbox! As I mentioned above, there are so many different ways to use journaling in your classroom. You can use it as homework, as a warm-up, as a cool-down, to practice writing, to practice vocabulary, etc. I’ve picked 5 different ways to explore a little further below, but I’d love to hear your ideas or experiences using journaling for language learning either with your students or personally. Leave a comment at the end of this article to start a conversation! One of the easiest ways to use journaling with your students is to assign it as homework. You can use whatever parameters are applicable to your class and your goals. You can ask your students to write a certain number of sentences, a certain set of vocabulary words, based on a writing prompt, or just whatever comes to mind. Use journaling to begin every class. If you have students that sometimes show up a few minutes late, this task is a great way to keep the beginning of class productive, while eliminating the need to catch the late students up. You can ask your students to respond to a different writing prompt everyday or simply have them journal about their past few days or upcoming plans for the week. Journals are a great way to prompt discussion and give your students time to collect their thoughts before engaging in a conversation with their peers. If you’re going to use the journals for discussion, make sure your students are aware of that beforehand, so that they don’t write down any personal information that they aren’t comfortable sharing. Simply have students write in their journal, and then use what they’ve written to discuss something with their peers. Journals are, obviously, a great way to practice writing. While I always try to make sure that my students’ journals are a safe, stress-free place to practice English, you could, from time to time, grade the journal entry as a writing assignment. In those cases, use the grade as a sort of “progress report,” or, even better, have your students grade their past journal entries themselves. This gives them autonomy over their language learning and will help them to be more aware of ways that they could improve. Using journals as reflection assignments give both you and your students an opportunity to not only see ways that they could improve, but ways that they have improved. Have your students look back on their journals and pick out one entry from each week or one entry from each month in order to see the difference between their writing at the beginning of, in the middle of, and at the end of their journaling journey. You can use this reflection to prompt a new journal entry, to prompt discussion between peers, to discuss with your students one-on-one, or in a variety of other ways. It can be hard to know where to start when journaling in a second language. For beginner-level learners, basic sentences and vocabulary may not come to mind naturally or easily. Nevertheless, journaling is still a great practice to engage in, and which will help those basic sentences and vocabulary to come more naturally to your students. There are three main rules that I try to follow when journaling in a second language. These rules may seem counterproductive at first, but they are actually very helpful for this specific task. First, don’t worry about grammar or sentence structure. Use the language that you know to the best of your ability, but don’t stress about whether you used the correct conjugation or not. There is a time and place to worry about conjugations and possessive pronouns, but the journal should not be on of those places. The correct grammar will come with time. Second, use Google translate or a dictionary as often as you need. While I typically discourage my students from constantly referring to a translator or bilingual dictionary, when writing in a journal I consult (and encourage my students to consult) whatever tool is necessary to fill in the gaps of my language abilities. By using these tools to support journal writing, the learner is made aware of what information they are lacking in order to use it immediately. Finally, write down what you’ve learned after you’ve finished writing. After my journal entry is completed, I’ve gotten into the habit of looking through the entry and researching the words and phrases I was unsure of further (because translators aren’t the most accurate) and/or writing down a list of new vocabulary to look back on. This extra step allows the learner to work with the language even more extensively and intentionally. Instead of just writing down words that the learner doesn’t know, they’re given the opportunity to take control of their learning and add new words and phrases to their vocabulary. Journaling is one of the most versatile language learning tasks that you can use, and implementing this simple routine can help give your students consistency, confidence, and motivation. If your students are looking for ways to take control of their learning and/or maintain their language outside of class, journaling is a great resource to help them spend focused time on learning new vocabulary and using it! What routines do you find most helpful either in your personal language learning journey or with your students? How do you use journaling in the language classroom?